Properties in Cabildo de Arriba average 4.4 out of 5 stars. Cozy apartment in the center of Santander, renovated and with elevator. Property 8: Cozy apartment in the center of Santander, renovated and with elevator. Property 12: "Apartment for rent"
Beautiful apartment in the center of Santander. 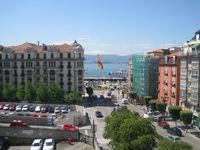 Property 23: Beautiful apartment in the center of Santander. 200m from the bus and train stations. Lovely apartment downtown. Property 28: 200m from the bus and train stations. Lovely apartment downtown. Full Puertochico. Views to the Bay. Property 37: Full Puertochico. Views to the Bay. 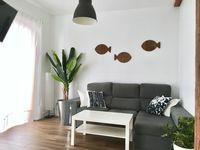 Property 40: EL PUNTAL APARTMENT IN THE HEART OF PUERTO CHICO. Excellent apartment, lovely touches, very clean. Can&rsquo;t recommend enough!!! If you can walk up some stairs, a lovely apartment awaits! We had a very relaxed stay in this apartment - it is recently renovated, has everything you will need to eat in or is well situated for restaurants, shopping, getting our of the city etc Space is light, windows everywhere, cute little enclosed breakfast/coffee nook, comfortable beds, great kitchen, showers excellent, plenty of towels and easy communication with the owners. We were 4 adults and a child and had plenty of space and a wonderful stay!